Disposal bins are the most eco friendly way to get rid of waste. Metal, wood, paper, and cardboard are separated at source and over 90 percent of all the junk collected is sent for recycling. Garbage and waste management of this nature has become the need of the hour and being affordable not a difficult choice either. Watch our disposal bins video. 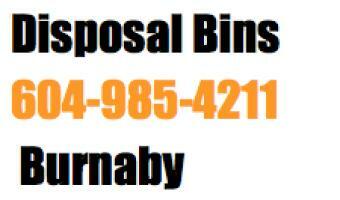 Watch our dumpster rental service in Vancouver. I needed to rent a bin so i called Orange Bins, they were fast and easy to deal with. Would recommend.